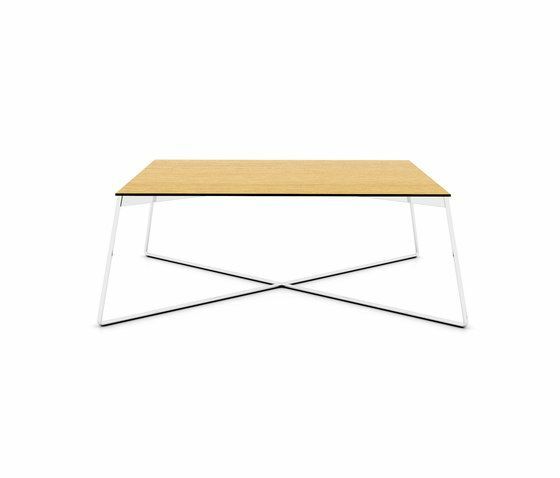 The minimalist design attributes, like its attractive slender profile and slim wire base, makes FLY coffee table an ideal addition to contemporary living and public spaces. It consists of a metal profile frame bended carrying matt lacquer or natural veneer top. Its base is available in matt or bright chrome plated or elektrostatic powder coated in various colors as per RAL code.